The Intendant, Vulcans, and any personnel who mentions The Intendant as a romantic partner may report here. Personnel who mention The Intendant in lore may file mission reports here. 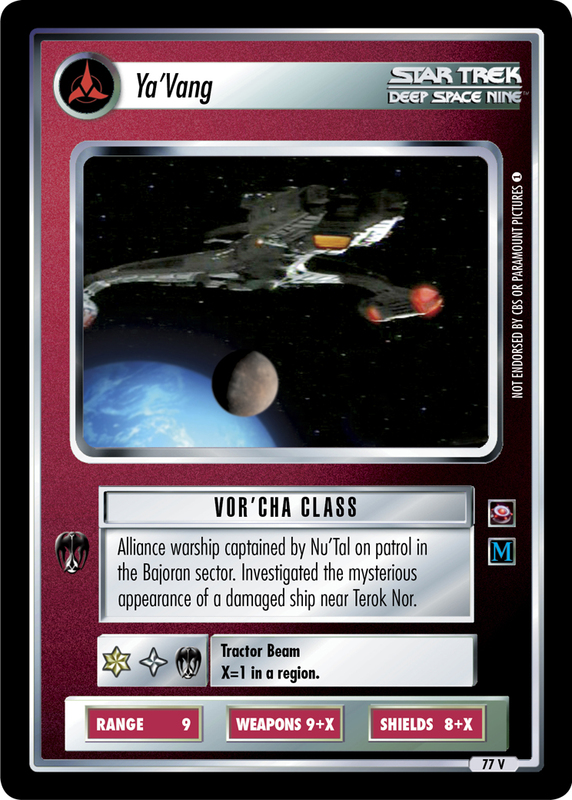 Once each turn a player may stop their The Intendant and another personnel present to draw one card. 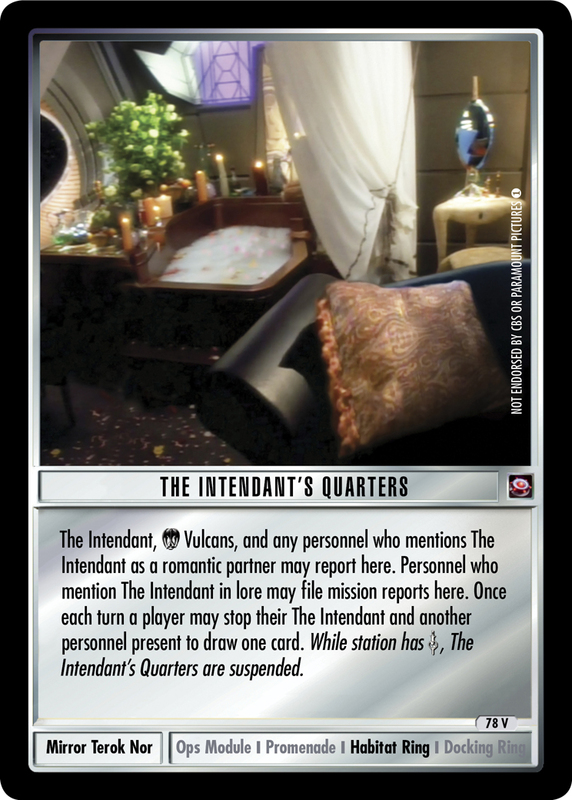 While station has , The Intendant's Quarters are suspended.